The LAW FIRM of DAYREL SEWELL, PLLC is pleased to announce that Mr. Dayrel S. Sewell, Esq. and Mr. Lance Willoughby penned an article entitled, “Landlords and Loft space” that is now published in the Richmond County Bar Association’s Spring 2017 Journal. 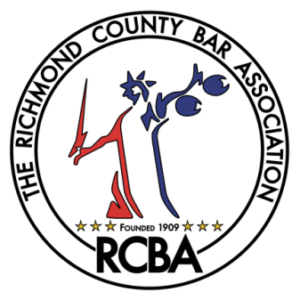 The Richmond County Bar Association (“RCBA”) was founded in 1909 to provide access to legal services for the Richmond County community. RCBA is dedicated to advancing members’ professional development and promoting the highest standards of excellence in the practice of law. RCBA journal first published in the spring of 1984. The journal is published quarterly featuring legal articles, book reviews, product reviews or other items of interest to RCBA. “Landlords and Loft Space” discusses the complexities of the “NYC Loft Law.” The article provides the legislative history and intent for the creation of NYC Loft Law. Also, the article discusses the negatives and positives for landlords and tenants under the NYC Loft Law. The NYC Loft Law is unique and ought to be understood by those who possess and/or plan to possess loft interest. This publication represents the continuation of our firm’s commitment to providing value to the greater NYC community and service excellence to our clients.